In this story I’ll recount the details of some meetings I had with Peter Wilt and Michael Collins in Santa Ana, in November of 2016. The purpose of the meetings was to study the feasibility of launching an NASL expansion club at Santa Ana Stadium. The many smoke signals I’d been sending over the years concerning Santa Ana’s potential as a futbol/soccer market finally got to the well-respected sports consultant Peter Wilt, of Club 9 Sports. Peter reached out to me via email to see if we could meet to talk about how to potentially launch a pro club in town. We met at the C4 Deli in downtown Santa Ana with Michael Collins, who was the executive director of the NASL Orange County bid, and representative to main investor Peter Capriotti. We discussed potential names for a club in Santa Ana, including reviving the LA Aztecs name, along with California Surf and Santa Ana Winds FC, the demographics, his plans for a multi-tiered structure with promotion and relegation, who could be potential local investors, and more. I helped to setup meetings and communications with then Downtown Development Liaison Victor Negrete, Councilman Vincent Sarmiento and Director of Parks and Recreation Gerardo Mouet, who became an interim City Manager not long afterward. We toured Santa Ana Stadium and found that the width of the field needed expanding. Other things the stadium needed were some upgrades to lights, seating and the locker rooms. Gerardo Mouet took note of all that and ran it through the Public Works division to see what the cost would be, starting with the field expansion, and they determined the cost to be $5 million. Expanding the field would’ve required the removal of some seating on the east and west sides of it. The expansion group then asked what the cost would be if only a portion of one side of the stadium’s seating was removed, but there was no response from the City from that point on. This was all happening while the NASL was on life support. Peter Wilt and the expansion groups he was consulting, including San Diego–now known as 1904 FC, were literally acting to hold the league together, in trying to meet the US Soccer Federation’s imposed time constraints. This was before Rocco Commisso bought the Cosmos. In one of our dinner meetings, at Chapter One in downtown Santa Ana, where we gauged the interest of that restaurant owner’s possible partnering, Michael Collins received a call from then interim NASL Commissioner Rishi Seghal, just to check on things and to give updates, and the OC group was informed that Brian Helmick wanted to take the SF Deltas to the USL. We have to recall that this was when the Cosmos were without an owner, and much uncertainty hovered over the remaining NASL clubs. Most urgent, was that they had these aforementioned deadlines to meet, conforming to the USSF’s pro league standards that required a league to have x amount of teams by a certain year, bla bla bla. Somewhere in between these meetings, we grubbed at the Olde Ship and the Native Son Alehouse in the downtown in addition to those other aforementioned spots, I compiled a 25 page rough guide of sorts, to steer this group in their quest for arriving in and understanding the Santa Ana market. In retrospect, Peter Wilt’s visit to Santa Ana was just them doing their due diligence. He explained to me that they were also looking at Titan Stadium at Cal State Fullerton, and given the time constraints placed on the NASL by the USSF’s PLS, the league had to launch a team ASAP. Titan Stadium had a natural grass pitch and was not as old as Santa Ana Stadium, which was built in 1963 and had artificial turf with a gridiron (ick) installed in 2007. The Orange County NASL group was eventually announced as an expansion club and later named California United FC. They were supposed to begin play in 2018 in Fullerton. Well, that all amounted to a rush job, thanks to the PLS. The standards were such an issue that they, in part, played a role in setting off the NASL’s lawsuits that caused remaining teams to defect and leave the league inoperable. Ultimately, it all worked out fine on the Santa Ana side. We didn’t get a team that would not play when expected, and it really wouldn’t have launched in 2018 anyway, due to the need to upgrade the downtown stadium. But, as I wrote this piece it became clear to me that, specifically in this case, the USSF’s PLS directly hindered any possibility of investing in pro soccer in Santa Ana because of their arbitrary nature and their one-size-fits-all approach, particularly with the time constraints placed on leagues. The establishment of a pro club, ideally, needs germination and not a prescribed x amount of time to reach a financial level, or for a league to hit an x amount of teams mark. See the 2018 Open Cup Handbook, where the USSF wrote in that pro clubs are eligible for the cup so long as they’re in a league with four–FOUR teams. But the saga continues, as clubs quietly work in the background, from the ground up in hopes of establishing that ideal club that’ll create opportunities for players and staff, and one that the people of Santa Ana can call their own. This ranking comes after first round Open Cup results are in, and just before the second round kicks off. There is additional tweaking to my ranking, with the aim of being as fair and as precise as possible. But no matter how I or anyone else attempts to rank these teams, there is no clearer indicator for ranking clubs other than direct competition. That’s why for this ranking, and from now on, where there is no direct competition in the form of inter league play, overall league (or conference where necessary) competitiveness will be weighed. This additional metric comes after reading feedback on another ranking, where a club suggested that X league is more competitive than Y league. This ranking will, emphasis on will, reflect ongoing club and league performance in the Open and State Cups. For example, UPSL clubs are ranked higher because they are alive in the Cal South State Cup and Open Cup, and this is a reflection of the UPSL Western Conference, while the NPSL Southwest clubs are out of the Open Cup. The NPSL’s sole Southwest Conference representative in this Open Cup was Albion Pros of San Diego, and they were eliminated by Chula Vista FC, that isn’t competing in their usual So Cal Premier League play so far this year. Thus, no NPSL club represented the LA area at all in this Open Cup. Neither are there any So Cal Premier clubs remaining in the State or Open Cups. Here are additional metrics to be included with my initial ranking, from May 3. My aim now is to solidify, codify and standardize this ranking system. Inter League Results: Tournaments, exhibitions (A loss in an exhibition match is indicative of Squad Depth). League or Conference Strength: Gauged by the nature of its highest performing clubs, individually + combined league performance outside of league play. Squad Depth: Gauged by a club competing in more than one tournament. League Membership / Continuity: What is the club’s standing with its league? Is it active and in good standing? Is it on hiatus? Cumulative League Activity: The span of league activity will be weighted, but CLA directly relates to League or Conference Strength. 1. Moreno Valley FC (UPSL) retains the top spot after earning a victory in the Open Cup over Ventura County Fusion of the PDL. MVFC has yet to make up their State Cup semifinal match with LA Wolves, the tournament in which FC Long Beach is a finalist and awaits either one of these UPSL semifinalists. 2. LA Wolves (UPSL) hold on to the second spot by winning convincingly in their first round Open Cup match, 4-2 over San Diego Zest of the PDL. The Wolves await their chance to knock Moreno Valley out of the number 1 spot, and will have to wait until their State Cup semifinal is rescheduled. 3. FC Golden State (PDL) appear in the 3rd spot after debuting in the Open Cup with a win over Outbreak SC, who at the time of this writing is the highest-performing club in the So Cal Premier League. Golden State’s appearance at this spot demonstrates the weight / value assigned to the Open Cup in my ranking. 4. FC Long Beach (CAL) club that isn’t a member of any of these leagues, but is a member of Cal South through their youth system, is a finalist in the Cal South State Cup. They’ve earned a shot at the USASA Region IV tournament along with the winner of the LA Wolves – Moreno Valley semifinal match. The winner of the Region IV tournament competes for the National Cup with the champions of the other three USASA regions. 5. Strikers (UPSL) are out of the Regional and Open Cups but will seemingly run away with the top spot in the UPSL Western Conference if they continue on their tear. Strikers last made a statement with a 4-3 comeback win over Santa Ana Winds FC in UPSL play. 6. La Maquina (UPSL) are also out of the State and Open Cups. La Maquina crashed out of this Open Cup after the first round, after a 4-1 blowout loss to Fresno Fuego. While they haven’t measured up in the State or Open Cups, they’ve picked up steam in the UPSL. 7. Santa Ana Winds FC (UPSL) have dipped in form, dropping 4 out of 6 points in their last two games, versus Anaheim and Strikers, after their elimination from the State Cup by defending USASA Region IV Champion, Moreno Valley FC. Santa Ana sits sixth in the UPSL after 10 games, with one game in hand. PSC FC has shot up to fifth in the UPSL, one point above Winds FC, but additional points were earned by SNA (for purposes of this ranking) for an Open Cup qualifying win, and two wins in the State Cup, while PSC didn’t compete in these cups. 8. Outbreak SC (SCP) is the top club in the So Cal Premier League after 16 games, good enough to retain their current top spot no matter what Real Sociedad Royals do with 15 games played. Outbreak earned 4 points in the State Cup, the same as Royals, but Outbreak qualified to the Open Cup by defeating San Fernando Valley Scorpions of the UPSL, and fellow So Cal Premier club Buena Park FC, in contrast to Royals who didn’t make the Open Cup. 9. Real Sociedad Royals (SCP) are second in the So Cal Premier League and are a traditional fixture in the USASA LA landscape, having competed in Open Cup qualifying over the years, and earned 4 points in the State Cup this year, only having missed the quarterfinal stage by very little. 10. Riverside Coras (NPSL) continue to dominate the NPSL Southwest Conference, successfully fending off attempts to take their top spot, particularly against Orange County FC and FC Arizona. 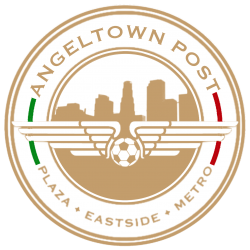 Orange County FC (NPSL), PSC FC (UPSL), Bell Gardens FC (UPSL), Panamerican FC (UPSL). 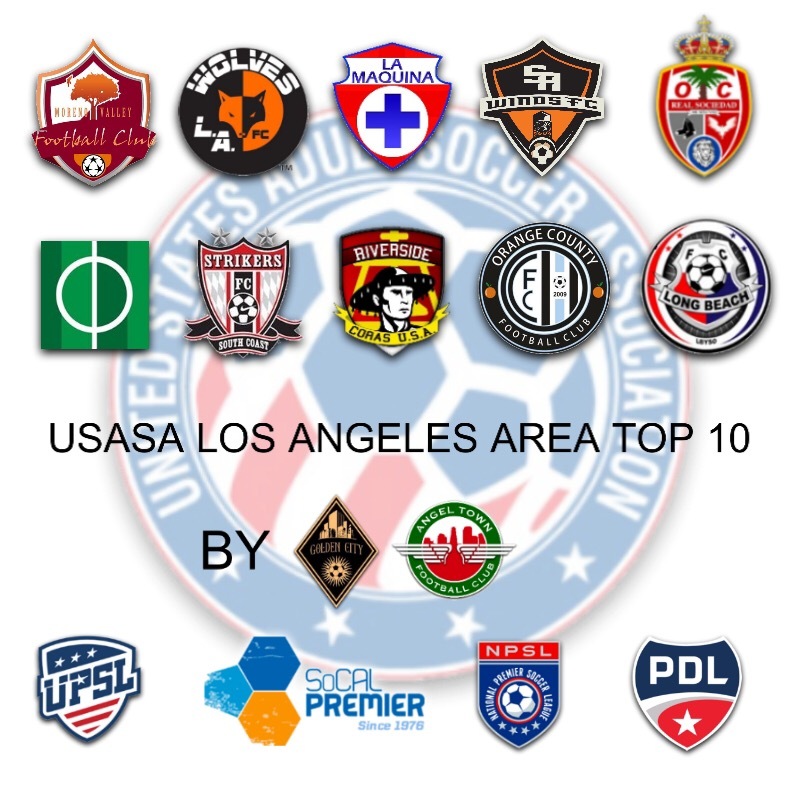 This is the first attempt to rank USASA teams in the LA area, that I know of. This ranking measures, especially, team performance across the affiliated USASA leagues (NPSL, PDL, UPSL, SoCal Premier, etc). More weight is given to clubs playing beyond their league conferences, for example. Simply put, with more success outside of league play, comes more merit. Sounds reasonable, right? I don’t think it’s that hard to comprehend. First off, my metric encompasses clubs throughout the Greater Los Angeles area, made up of its counties: Los Angeles, Orange, Riverside, San Bernadino, Ventura. Results against clubs in the area, regardless of league, are especially favored. Clubs competing in cups beyond their league, and winning in those cups, are also weighted favorably. I’m going to lay this down once, to eliminate misperceptions in the future. I don’t subscribe to the notion that the NPSL is a better league, in general, nor by default. The NPSL has improved greatly in presentation and perception off the field, but this doesn’t necessarily translate to on-field success. I’ll give you two or three examples of how NPSL clubs haven’t delivered on the field. The NPSL’s Sacramento Gold fell to La Máquina of the UPSL in last year’s Open Cup. Prior to that match, the Gold went on TV in Sacramento saying that they were going to come down here to win. Fast forward to Open Cup 2017 qualifying and the NPSL’s Orange County FC fell to “La Machina” [sic], on September 17, 2016. OCFC got a “rematch” in February, and lost that too. So what? Why do I make a big deal about this? To not assume that teams in a startup league like the UPSL, or any league, are inferior by default. This is too common a characteristic in American soccer and among its fans, even front offices. 1. Moreno Valley FC is the defending USASA Region IV Champion. This means they’re the best California team outside of the professional leagues (USSF divisions 1-3, do not confuse this to be anything other), and they’ve demonstrated it in the State Cup. Last year they defeated LA Wolves, the club that defeated the USL’s OC Blues, later-rebranded-as Orange County SC in last year’s Open Cup. Performance is telling, and especially against other regional standouts. “Mo Val” recently defended their state title successfully versus UPSL standout Santa Ana Winds FC in Norco, and they have another title defense coming up against Eric Wynalda’s L.A. Wolves. 2. L.A. Wolves have done some significant revamping since last year’s Open Cup exit versus Santa Ana’s La Máquina. They’ve brought on Eric Wynalda as head coach, perform consistently well in the UPSL, and are alive in two other competitions, the State Cup and the Open Cup. They have a chance to eliminate the sitting State Champion in Moreno Valley, and the have a chance to advance in the Open Cup versus San Diego Zest of the PDL. 3. La Máquina currently sits in third in the UPSL, and also has had a lot on their plate recently. They’re still alive in the Open Cup, and will travel to face Fresno Fuego at Chukchansi Park. They’re no strangers to travelling to face PDL teams. Last year, La Máquina eliminated Portland Timbers PDL, in Oregon. La Máquina was recently eliminated from the State Cup vs San Nicolás SC of Santa Barbara, by a score of 1-0. 4. Santa Ana Winds FC sit in 2nd in the UPSL and are having a turnaround season, having rebuilt their club with players from the reputable Santa Ana College Dons program. Winds FC won a 2017 Open Cup qualifying match over La Habra City, before being eliminated in the 2nd qualifying round by La Máquina. Santa Ana managed to grind out wins in the State Cup, including a 1-0 win over Real Sociedad Royals of the SoCal Premier League, and a momentous 3-2 comeback over UPSL leader Strikers South Coast. Their creative individual skills were not enough to best regional powerhouse Moreno Valley FC in the State Cup quarterfinals. 5. Real Sociedad Royals are 2nd in the SoCal Premier League, and like in-league club Outbreak SC, are accustomed to competing in extra-league tournaments. They’ve won Open Cup qualifiers in the past, and topped the best team in the UPSL in Strikers South Coast, effectively eliminating them from the State Cup. The only thing keeping them from being ranked higher than Winds FC is their loss to the Santa Ana side in the group stage of the State Cup. The Royals were eliminated from 2017 Open Cup qualifying by L.A. Wolves, 4-1. 6. Outbreak SC, of Huntington Beach, sits in 3rd in the SoCal Premier League, and has an upcoming Open Cup match against FC Golden State Force of the PDL on May 10. Outbreak qualified for the Open Cup by defeating in-league Buena Park FC and San Fernando Valley Scorpions of the UPSL. 7. Strikers FC South Coast, another Huntington Beach club, while at the top of the UPSL with goal differential, fell twice in the group stage of the State Cup. In one loss the club blew a 2-0 lead to Winds FC, who exposed them by taking control of possession, and turned the game in their favor 3-2. Strikers fell to Real Sociedad by the same score, finishing last in the State Cup group stage, but did edge out Santa Barbara club San Nicolás in the State Cup, in which the latter is a semifinalist. 8. Riverside Coras are dominating the NPSL Southwest Conference, which includes conference leaders OCFC and FC Arizona. Surprisingly, to this writer, the NPSL Southwest is the only competition Coras are participating in. Coras had a UPSL squad, and nave focused on the NPSL, which is the right thing to do in my book, but are absent of the Open Cup and the State Cup (more on this later). 9. Orange County FC is having an impressive debut season in the NPSL, sitting 2nd behind Coras. The Irvine club has a chance to bump Riverside out of 1st, in their upcoming match, which will reveal who’s the best in the NPSL SW. OCFC is undefeated and features ex-Máquina player José “Chila” Montes and ex-Sueño MLS Winner Armando “Mambo” Flores of Santa Ana, CA, among others. OCFC lost an Open Cup qualifier to La Máquina, of Santa Ana, in September 2016, and a rematch in February 2017. 10. FC Long Beach is a semifinalist in the State Cup and has won 3 matches in that tournament, in which they defeated Los Angeles United Soccer Club, of the L.A. Premier League, along with Chula Vista and Newhall Premier, but were pummeled by L.A. Wolves, which is revealing. They have an upcoming match with San Nicolás SC. FC Long Beach appears to be a non-league club, described as the men’s club of the Long Beach Youth Soccer Association. Due to this fact there’s no telling how this club would fare in leagues like the UPSL, NPSL, or the SoCal Premier’s first division. Their only measure against a UPSL club is an 8-0 loss to L.A. Wolves. As a fan, I argue that more interleague play, outside of Open Cup one-offs and the like, are a necessary part of “growing the game,” which every league and club claims to want to do. It’s a win-win when leagues and clubs cooperate. Maybe there should be an invitational for LA area clubs. Anyway, whether observers agree with my assessment or not, USASA clubs in the LA area need prodding to produce even better matchups in the LA area. The NPSL Southwest Conference has improved greatly with its recent expansion teams. The So Cal Premier’s best will always be there pecking at the top. What do you say? What’s your top ten? Do you hate me yet? The United Premier Soccer League launched in 2011, when Santa Ana Winds FC leaders reformed their club in this new league, outside of the National Premier Soccer League, where they had a season-long stint. 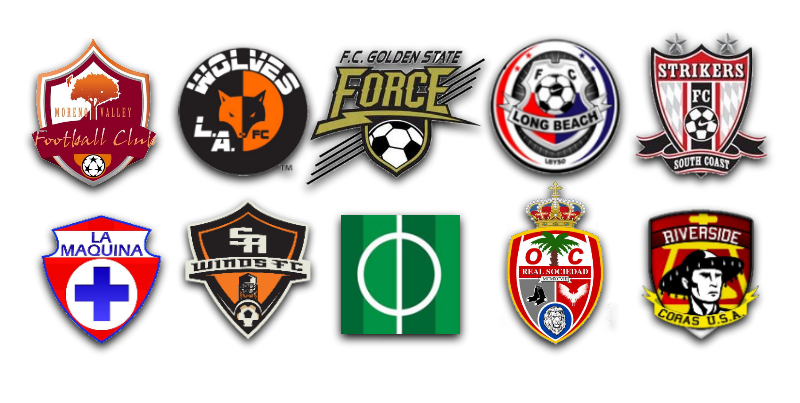 Winds FC started the league with other Santa Ana clubs including La Máquina and Ozzy’s Laguna, in addition to Orange County area clubs like OC Crew and Irvine Outcasts, etc. By 2016 two more Santa Ana clubs, Cal Arsenal and CF Cachorros, joined the UPSL. The league is turning seven and now has an upward and national trajectory that’s mostly taken off in the last year. Much of this boom, arguably, came from one of their more successful clubs, La Máquina, that made a splash in the 2016 national US Open Cup. For those that need a primer or a reminder, La Máquina shattered all expectations of an “Open Division” or “amateur” club in that tournament. The club defeated other clubs from longer-established and supposedly better quality leagues including the Premier Development League and the National Premier Soccer League. La Máquina made it to the fourth elimination round where they faced the LA Galaxy and lost on a controversial deadball play, a play in which the referee officiating the match later admitted he was wrong in allowing. (See Máquina – Galaxy: The Aftermath). Incidentally, fellow club LA Wolves of the UPSL deafeated another club from another supposedly superior league, the OC Blues, of the United Soccer League in the same 2016 Open Cup. This performance on the national stage, one representative of the league put on by La Máquina and LA Wolves demonstrated what is possible outside of the existing system/s found in the PDL/NPSL/USL, etc. The UPSL makes up part of the frontier of American soccer, a league existing outside of the wall that is the closed system and the status quo involving the youth development to collegiate player drafting method. This league, like other regional leagues, proves that there is undeniable talent in the “Open Division,” outside of said closed structures. It’s a league like the UPSL that leads reputable American soccer figures like Eric Wynalda to affirm that US Soccer isn’t functioning at its maximum potential by overlooking talent in leagues like the UPSL, instead opting for the current collegiate/PDL, etc player drafting model. Sunday’s 2017 U.S. Open Cup qualifying match between Santa Ana clubs La Máquina and Winds FC, both of the United Premier Soccer League, came down to capitalizing on scoring opportunities, of which both sides had plenty. La Máquina took advantage of three “soft goal” opportunities given by Winds FC, with a final score of 3-0. The story of the night for Winds FC was failing to score on clear scoring opportunities, of which they had at least 4. The difference was set in the first half with La Máquina scoring off of two failed clearances by the Winds defense, first in the 8th minute on a goal by Edwin Borboa and then in the 18th on a shot from distance by José “Chila” Montes de Oca. The Winds FC game plan was to attack up the flanks, with which they did manage to generate some danger but ultimately no goal, and to shut down La Máquina’s midfield commandeered by the Castro Pérez brothers (José and Rosendo), both with Liga de Ascenso experience with Club Dorados de Sinaloa. The third goal came in the 86th minute, “Chila’s” second of the night, with Winds FC playing with 10 men after a hamstring injury to a midfielder. Ironically, La Máquina scored when Winds FC made it easiest for them to do so, something good teams like La Máquina take advantage of. Overall, La Máquina created more dangerous shots on goal and crosses, and hit the post twice. La Habra City FC truly tested Santa Ana Winds FC, don’t let the 5-0 final score mislead you. 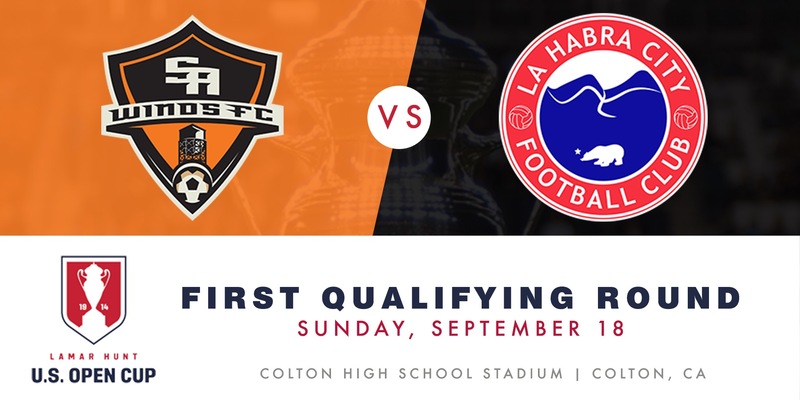 La Habra City was the better team in the first half of play in a US Open Cup qualifier on Sunday, September 18 at Colton High School Stadium. LHCFC generated more corner kicks and had three clear scoring opportunities in the first half, with one of those denied on a big save by the Winds FC keeper. The first half could’ve been 2-1 or 3-1 in favor of La Habra. But Santa Ana weathered LHCFC’s offensive onslaught well, demonstrating improved defensive. Winds FC have shown defensive lapses in UPSL play, but showed a more determined defense in this Open Cup qualifier, with midfielders and defenders fighting and tackling for possession effectively. The Winds midfielders show good ball recovery when double teaming and going al choque, or jostling, for possession. The Santa Ana defense was the bigger story of the match in contrast to its offense. Winds FC are known to score a lot of goals but their defense was the biggest question mark going into Open Cup qualifying. Their defense kept them in the game and allowed them to break through in the 54th minute, when Fermín Lara scored on a corner kick, and the floodgates broke open very soon after. The third goal came two minutes later, ten minutes later came the fourth, and the fifth goal came two minutes after the that. Winds FC will have to repeat their defensive performance, especially against their next rival and fellow UPSL club, La Máquina, who are expected to be a bigger test. The match is said to be held at Santa Ana Stadium, pending confirmation. But the next round match could be held at Westminster High School given that La Máquina is the “home side”and played elimination games there in the 2016 Open Cup. United Premier Soccer League members Santa Ana Winds FC and La Habra City FC will face off in a qualifying match to the first round of the 2017 U.S. Open Cup on Sunday, September 18 at Colton High School Stadium in Colton, CA at 6:30 pm. Santa Ana currently sits in fourth place with a 5-2-1 record in the UPSL Southeast Conference, behind reputable sides La Máquina FC and Strikers FC South Coast, in addition to upstart Avalanche FC, which has taken the UPSL by storm. Another upstart, La Habra City FC, currently sits in sixth place in the UPSL Western Conference with a 1-2-2 record. La Habra’s coach, Cesar Reyes, is well-familiarized with Winds FC having coached the Santa Ana side prior to starting up La Habra City. Reyes’s familiarity with Winds FC may be an advantage for him and his club. But Santa Ana Winds FC, though exposed to have defensive deficiencies, have a potent offense having scored 37 goals in 8 games. That’s one more goal than La Máquina FC has scored on the same conference opposition that Santa Ana has faced, and four more than UPSL expansion club and sensation Avalanche FC has, versus the same conference. Nevertheless, Winds FC will have to improve vastly on defense, regardless of their offensive capabilities, if they want to make a name for themselves in the Open Cup the way other UPSL clubs La Máquina & LA Wolves did in the 2016 Open Cup. Winds FC is considered the “home side,” given that this match was originally scheduled to be played at Lake Forest Sports Park, but the field became unavailable, according to club owner Leonel López. The Santa Ana side, still continues to struggle to get fields in Santa Ana, citing politics involving other leagues in town. 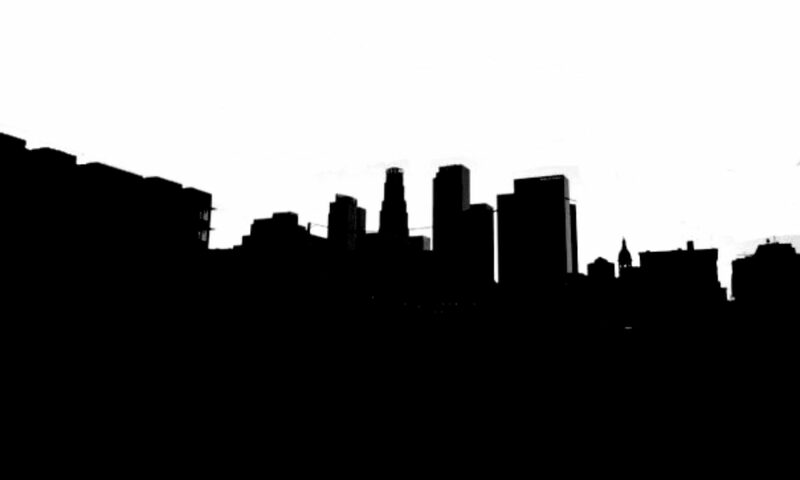 For instance, while Winds FC had to schedule a match 47 miles away in Colton, another club calling Santa Ana home, “L.A. Laguna” of the Premier Development League, aka “Ozzy’s Laguna,” for UPSL and youth league purposes, will play an Open Cup qualifier at Santa Ana Stadium vs UPSL club OC Crew on September 17.